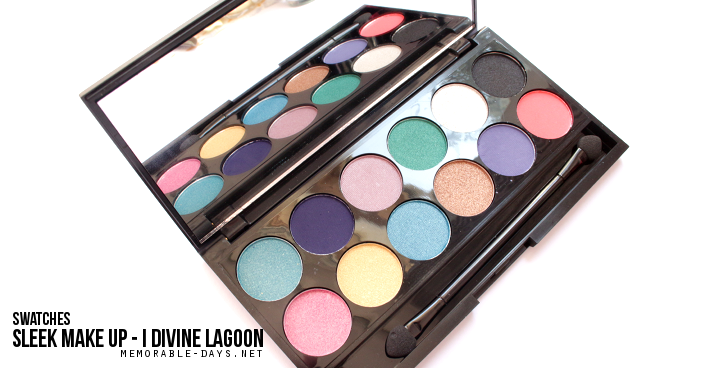 Swatches: Sleek Makeup - i Divine Lagoon palette | Memorable Days : Beauty Blog - Korean Beauty, European, American Product Reviews. I'm a huge fan of Sleek Makeup palettes. Have you seen the Spring Collection 2013 of Sleek Makeup yet? 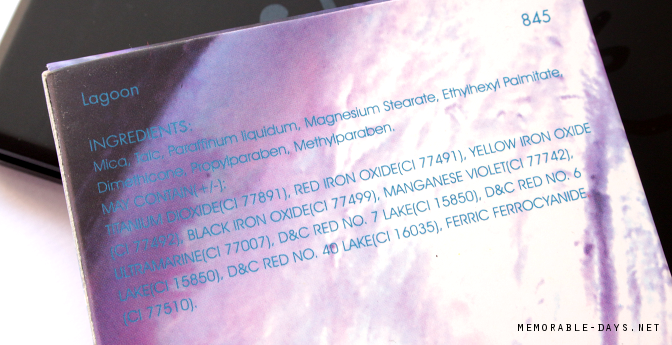 Today I will show you some swatches of the I Divine Lagoon palette from their aqua collection (limited edition). 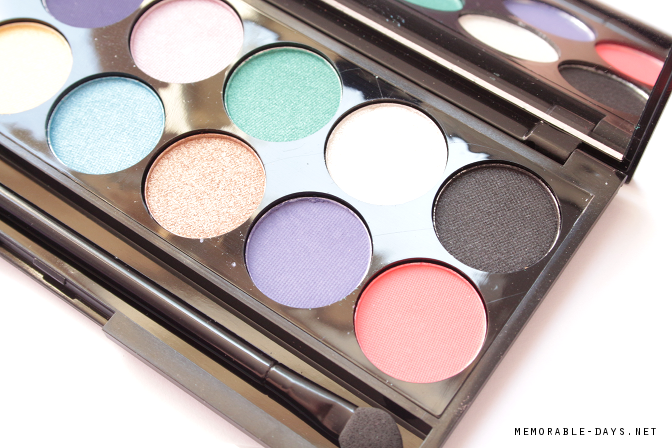 I'm sure you will be ready for Spring after you've seen this palette! The pigment packed Lagoon i-Divine eye shadow palette boasts 12 shades that pop on all skin tones, with colours inspired by legendary tales of mermaids. Including 9 shimmer shades and 3 matte shades, Lagoon i-Divine holds the key colours to be seen in this spring. 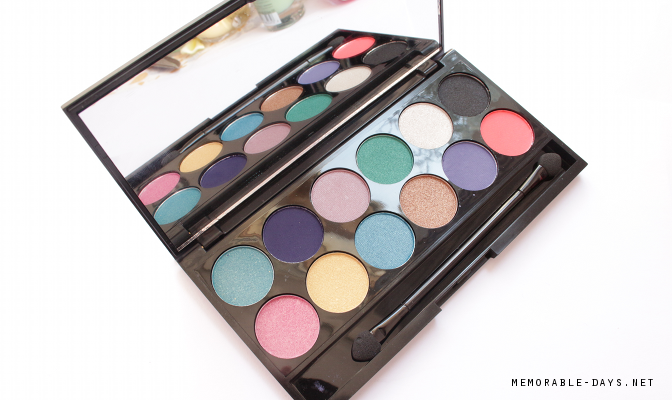 You can purchase this palette at Superdrug or on their official website: www.sleekmakeup.com (link to the product). 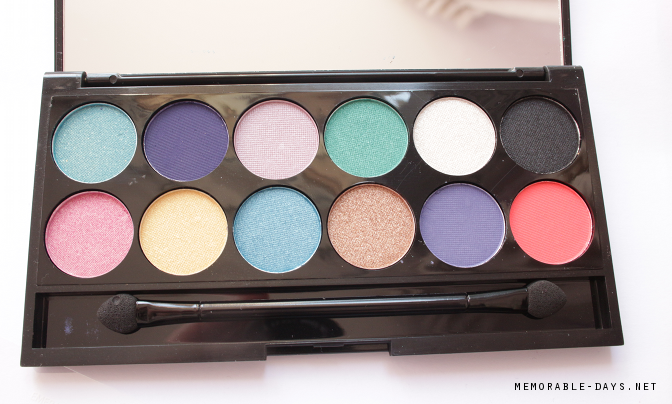 They sell it for €10.- which is not expensive at all for a palette with 12 colors! People in The Netherlands or Belgium can purchase it at this shop as well: http://www.boozyshop.nl. I must say that they are all pretty pigmented. My favorites out of the bunch are the colors Ariel, Sea shell and Pink jewel. These are all gorgeous colors for a Spring look! It includes 9 shimmer shades and 3 matte shades. One downside is that there is a lot of fall out and it crumbles a bit. All colors below are true to the real color, i'm sorry that the oyster and black pearl is a bit blurry, it was a bit hard to capture those on camera =(. 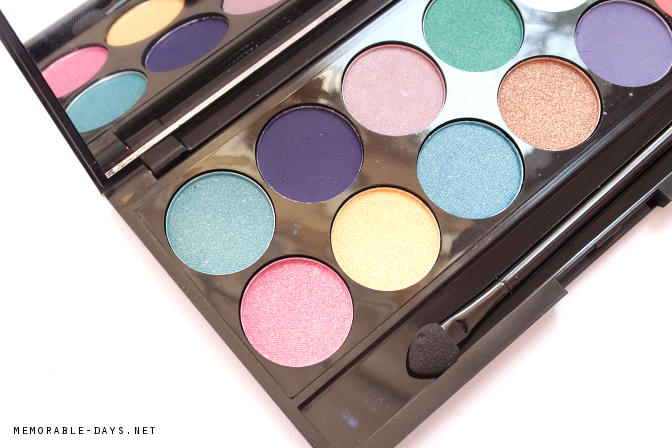 What do you girls think of this palette? Would you buy it?